Agreement means these terms and conditions, and any schedules, recitals, attachments or annexures as amended from time to time in accordance with the terms of this Agreement. Authorised Representative means a person as described in clause 3(c) and whose details are specified in an Order (which may be amended from time to time by the Client by notice in writing to DIFFUZE). Change of Control means that there is a change in the shareholders of the Client or a change in the composition of the board of directors of the Client which, in the reasonable opinion DIFFUZE has the effect of taking control of the Client away from its existing board of directors or puts the Client under the control, direct or indirectly, of persons or companies different from those in control at the latter of the date of this Agreement and the date on which DIFFUZE last consented in writing to the particular changes in the shareholders or board of directors of the Client. Claim includes a claim, notice, demand, action, proceeding, litigation, prosecution arbitration, investigation, judgment, award, damage, loss, cost, expense or liability howsoever arising, whether present, unascertained, immediate, future or contingent, whether based in contract, civil, common law, tort or statute and whether involving a Party, third party or otherwise. Compliance Statement means the DIFFUZE Compliance Statement dated July 2014, as amended from time to time. Diffuze means Diffuze Pty Ltd (ACN 155 261 662). User means any employee, director, officer or agent of the Client or other person given access to the Service by the Client in connection with the Client managing its relationship with the User or some of its Users. The term of this Agreement shall commence upon the Commencement Date and continue for a minimum of 12 months from the Commencement Date, and will continue thereafter until terminated by a party in accordance with this Agreement. Notwithstanding any other provision of this Agreement, this Agreement may be terminated by a Party in accordance with this Agreement. The Client acknowledges that the Services are not a kind ordinarily acquired for personal, domestic or household use or consumption. there is no direct, legal or contractual relationship between DIFFUZE and any User, and DIFFUZE is not required to intervene in or contribute to any dispute between a Client and its User regarding use of the Service or otherwise. The Client must nominate an Authorised Representative of the Client from whom DIFFUZE is authorised to take instructions and liaise with regarding the Client’s subscription and use of the Services. DIFFUZE is not required to action any instructions or respond to any query from any person in relation to the Client other than the Client’s Authorised Representative. The Parties must comply with the Special Conditions. A contract is formed for the provision of the Services under this Agreement when DIFFUZE confirms in writing the Client DIFFUZE’S acceptance of the Order. In the case of technical problems the Client must make all reasonable efforts to investigate and diagnose problems before contacting DIFFUZE. If the Client still requires technical help, the Client agrees to check the support provided online by DIFFUZE or failing that by email DIFFUZE at support@diffuze.com.au. DIFFUZE is not required to respond within a specific period of time in the event assistance is required. The Client acknowledges that DIFFUZE cannot give legal or commercial advice on employment matters, and may only respond to matters of a technical nature regarding access to or functionality of the provision of the Service. The Client is responsible for keeping its computer system up to date and free of viruses and following DIFFUZE’s instruction regarding minimum system requirements to access and use the Service. DIFFUZE is not liable for any loss or damage associated with any system requirements, software installation, cookies, virus or spyware, Users becoming aware of information of other Users due to auto-fill or other settings, or security measures taken or not taken by the Client. DIFFUZE may interrupt the Service from time to time to perform maintenance or otherwise. DIFFUZE will attempt to give reasonable notice before, or as soon as possible after, interrupting the Service, by email or publishing details on its website. DIFFUZE reasonably believes that the suspension of the Service is necessary to protect the Client, DIFFUZE, its network or its other clients. DIFFUZE will give the Client at least 48 hours notice of a suspension unless it determines that a suspension on shorter notice is necessary. The Client remains liable to pay the Fees for the Service while they are suspended. The Client agrees to ensure that all usernames and passwords required to access the Service are kept secure and confidential. The Client must immediately notify DIFFUZE of any unauthorized use of its passwords or any other breach of security. If so notified, DIFFUZE may reset the Client’s password, and the Client agrees to take all other actions that DIFFUZE reasonably deems necessary to maintain or enhance the security of DIFFUZE’S computing systems and networks and its access to the Services. not attempt to modify, copy, adapt, reproduce, disassemble, decompile or reverse engineer any computer programs used to deliver the Services or content delivered in the use of the Service except as is strictly necessary to use either of them for normal operation. The applicable Fees in respect of the Services will be specified in the Order or as otherwise agreed in writing by the Parties from time to time. Fees are due and payable by the Client in accordance with the Order and will be payable on the invoice date. Fees may be paid via direct debit (provided this is available from the Client’s financial institution) or credit card. Unless otherwise expressly stated, all prices or other sums payable or Fees to be provided under or in accordance with the Agreement are exclusive of GST. The Client must pay to DIFFUZE the relevant amount of GST at the same time as payment for the Service is due, provided that DIFFUZE provides a valid tax invoice. DIFFUZE may increase the Fees on 30 days notice to the Client. Despite any other clause in this Agreement, payments under or in relation to this Agreement must be made in full without deduction or set-off. Where Fees are unpaid on the date set out in this Agreement or as otherwise agreed between DIFFUZE and the Client, DIFFUZE will be entitled to charge a late fee of $50 per occurrence of late payment. DIFFUZE will provide the Client at least 14 days notice if the terms of the use of direct debit facilities are to change. DIFFUZE will cancel the Client’s direct debit arrangements following termination of this Agreement upon receipt of all outstanding Fees owed to DIFFUZE. The Client may change its direct debit arrangements at any time by notice in writing to DIFFUZE, which changes will take effect at the time the Client’s next payment of Fees is due in accordance with this Agreement, unless the next payment is due less than 14 days from the date of notification from the Client in which case the change will take effect when the subsequent payment of Fees is due. Diffuze will keep all information about the Client’s nominated bank account private and confidential, only to be disclosed at the Client’s request, or the Client’s Financial Institution in connection with a claim made to an alleged incorrect or wrongful debit. ensure its bank account specified in the Order can accept direct debits through the Bulk Electronic Clearing System before submitting an Order or changing its nominated bank account. Where a payment of Fees is due on a day that is not a Business Day, DIFFUZE will debit the Fees due on the next Business Day. check its account details when completing the Order, or changing its direct debit arrangements, against a recent statement from the Client’s financial institution. not memorise, use, modify, reverse engineer or make copies, notes or records of the Disclosing Party’s Confidential Information for any purpose other than in connection with the performance by the Receiving Party of its obligations under this Agreement or otherwise in the use of the Services. is required to be disclosed by any applicable law or order of a Government Authority, in which case the Party required to disclose Confidential Information of the other must only disclose the minimum amount required to comply with the relevant law or order, and must notify the Party to whom the Confidential Information belongs of the requirement to disclose and the information being disclosed. The Client acknowledges that DIFFUZE may use the Services of a data hosting provider to host the data of DIFFUZE and the Client, and that DIFFUZE is authorised by the Client to do so. The Parties acknowledge and agree that where they are responsible for the collection, use, storage and otherwise dealing with Personal Information, they will comply and ensure that all of their personnel comply, with the requirements of any Privacy Law in respect of all Personal Information collected, used, stored or otherwise dealt with under or in connection with this Agreement. DIFFUZE may request the Client to remove certain data from being stored as part of the Service on the basis that DIFFUZE has formed the opinion the data is of an offensive, infamous or illegal nature or the Client is in breach of this Agreement. If the Client does not comply within a reasonable time, DIFFUZE Reserves the right to remove such data. The Client acknowledges that all materials, software, methods, processes, reports, documentation or other information or material (whether in electronic or material form) which is created by or on behalf of DIFFUZE (Material) and all existing and future Intellectual Property Rights which are derived or arise from, or is connected with, the Services or any Material, are the property of and will at all times remain vested in DIFFUZE. To the extent that any Intellectual Property Rights referred to in clause 9(a) do not automatically vest in DIFFUZE, the Client immediately assigns to DIFFUZE absolutely and beneficially the whole of its rights, title and interest in and to those Intellectual Property Rights, whether presently existing or which arise at a date after the date of this Agreement, with effect from the date of creation of the Intellectual Property Right(s). The Client agrees to do all things necessary or desirable, and ensure its personnel and Users do all things necessary or desirable, to effect the assignment referred to in clause 9(b). a non-exclusive, revocable licence to access and use the Services for the Term as specified in this Agreement. Nothing in the Agreement excludes, restricts or modifies any condition, warranty, right or remedy conferred on the Parties by the Competition and Consumer Act 2010 (Cth) or any other applicable law that cannot be excluded, restricted or modified by agreement. If a warranty or condition is implied by the Competition and Consumer Act 2010 (Cth) or other law which may not be excluded, then DIFFUZE’s liability for any breach of such an implied warranty is limited solely to the resupply of the relevant Services or the payment of the cost of having the Services provided again (at DIFFUZE’s option). To the extent permitted by law, and notwithstanding any other provisions of the Agreement, in no event will either Party be liable for loss of profits, downtime costs, loss of revenue, loss of reputation, loss of data, loss of use, loss of goodwill, failure to realise anticipated savings, anticipated profit or revenue or any indirect or consequential loss arising out of or in connection with the Agreement, howsoever caused. DIFFUZE is not liable for any loss or damage howsoever caused to any property or person of the Client or any third party as a result of any defect in the Services. The maximum aggregate liability of DIFFUZE for all proven losses, damages and Claims arising out of this Agreement, including liability for breach, in negligence or in tort or for any other common law or statutory action, is limited to the sum of the amounts paid by the Client to DIFFUZE in the 3 month period immediately before the notice of the then current Claim. the Client amending, changing or adopting the content of the Service. The Company makes no representation that the Services will be uninterrupted, error-free, or completely secure, nor that the Customer’s information and data will remain completely secure. The Customer acknowledges that there are risks inherent in use of the internet that could result in the loss of its privacy, information and data. DIFFUZE is not a legal adviser and not liable for any legal consequence that follows from use of the Service. DIFFUZE is not liable for any consequence in connection with the Client amending, changing or adopting the content of the Service. DIFFUZE is not liable for any loss or damage suffered by the Client arising from data loss or system fault in providing the Services, or breach of any Intellectual Property Rights of any third party. DIFFUZE may terminate this Agreement at any time for any reason and without prejudice to any right or action or remedy which has accrued or which may accrue in favour of DIFFUZE, by giving the Client 20 Business Days’ notice to that effect. In the event that the Client fails to pay the Fees in accordance with clause 6, DIFFUZE may immediately suspend the provision of the Services and/or terminate the Agreement. Following the first anniversary of the Commencement Date, the Client may terminate this Agreement for any reason and without prejudice to any right or action or remedy which has accrued or which may accrue in favour of the Client, by giving DIFFUZE 20 Business Days’ notice to that effect (and for the avoidance of doubt, notice to terminate may only be given following the first anniversary of the Commencement Date). If an Event of Default, occurs in relation to a Party (Relevant Party), the other Party may give a notice (Default Notice) to the Relevant Party specifying the Event of Default and requiring the Relevant Party to remedy the default within 10 Business Days after the Default Notice is given to the Relevant Party. then the other Party, without limiting its other rights and remedies, may terminate the Agreement by giving to the Defaulting Party notice with immediate effect. the Client must immediately pay DIFFUZE all outstanding Fees which will become immediately due and payable and any invoice provided for Services provided but not invoiced before termination. Where any amounts remain outstanding from the Client, DIFFUZE retains a right of lien over the data and any documents or Confidential Information of the Client’s it holds, and reserves the right to retain this and not take any action to return it to the Client until payment is received in full. DIFFUZE reserve the right to charge a fee for the creation of a digital archive of the Client’s information and to deliver this to the Client. The Client must request such an archive in writing. 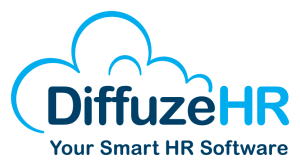 DIFFUZE retains the right to delete all information held by it in relation to a Client after 60 days following expiry or termination of this Agreement. A notice, approval, consent or other communication under this Agreement (Notice) must be in legible writing, signed by the person sending it, or by an authorised officer if the person sending it is a corporation and in English. Notices delivered by hand, by pre-paid mail, facsimile or email must be delivered to DIFFUZE’s address, fax number or email advised by DIFFUZE from time to time or otherwise as published on DIFFUZE’s website. DIFFUZE will send Notices to the Client to the contact address set out in the Order. by email, provided no answer back is received by the sender notifying it the email could not be delivered, at the time of sending if by 5:00pm on a Business Day, otherwise on the next Business Day. Any provision in this Agreement which binds more than one person binds all of those persons jointly and each of them severally. Each obligation imposed on a Party by this Agreement in favour of another is a separate obligation. This Agreement contains the entire understanding between the Parties concerning the subject matter of this Agreement and supersedes all prior communications, agreements, proposals, work orders or correspondence between the Parties. A failure, delay, relaxation or indulgence by a Party in exercising any power or right conferred on the Party by this Agreement does not operate as a waiver of that power or right. A single or partial exercise of the power or right does not preclude a further exercise of it or the exercise of any other power or right under this Agreement. A waiver of a breach does not operate as a waiver of any other breach. The Client cannot assign or otherwise transfer the benefit of this Agreement without the prior written consent of DIFFUZE. This Agreement is governed by and must be construed in accordance with the laws in force in Victoria. The Parties submit to the exclusive jurisdiction of the courts of Victoria and the Commonwealth of Australia in respect of all matters arising out of or relating to this Agreement, its performance or subject matter. DIFFUZE will not be liable to the other party for any delays or errors in its performance, or for non-performance, due to any circumstances beyond its reasonable control including (without limitation) natural events, fire, lightning, earthquake, flood, storm, explosion, industrial dispute, acts of terrorism, failure of utilities including telephone, satellite, Internet or electricity. and the document higher in the order will take precedence to the extent of any inconsistency. This clause 13.10 together with clauses 6.1, 7, 8, 9, 10, 11, and 13 survive termination or expiration of this Agreement. No party may take action against the other for any dispute between them without first seeking to resolve the dispute in good faith. The party claiming there is a dispute (Disputant) must contact the other party providing details of the dispute. The parties must use their reasonable endeavours to seek to resolve the dispute within 10 Business Days of the notice under clause 13.11(b). If no resolution is reached within the time under clause 13.11, each party must refer the matter to the person with the highest authority within the organization to resolve matters within 10 Business Days. Those persons must use their reasonable endeavours to resolve the dispute within a further 10 Business Days. If the dispute remains unresolved following this, the parties may take action as they deem appropriate. Each party must bear their own costs in complying with this clause 13.11. The terms of this Agreement may be amended from time to time by DIFFUZE, with any such amendment to take effect on 20 Business Days written notice from DIFFUZE notifying the Client of the amendment or providing the new terms of this Agreement.